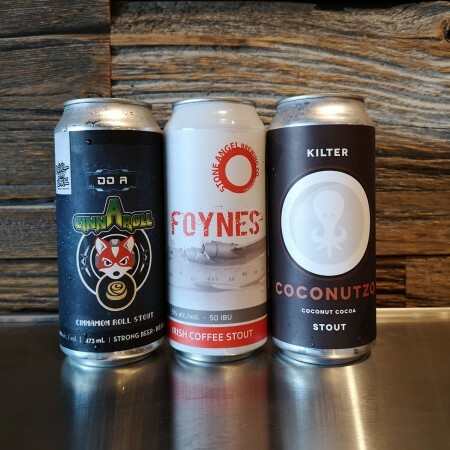 Stone Angel Brewing , Kilter Brewing, and Devil May Care Brewing – all located at 1875 Pembina Highway – are set to release Likeminded Deviants Vol. 1: Stoutmas, a six-pack of 473 ml cans that includes a flavoured stout brewed by each brewery. Likeminded Deviants will be launched tomorrow (Friday October 19th), and will be available exclusively in the brewery’s taproom and retail store for a limited time. A second sampler pack with three new beers is planned to follow for the Christmas season.